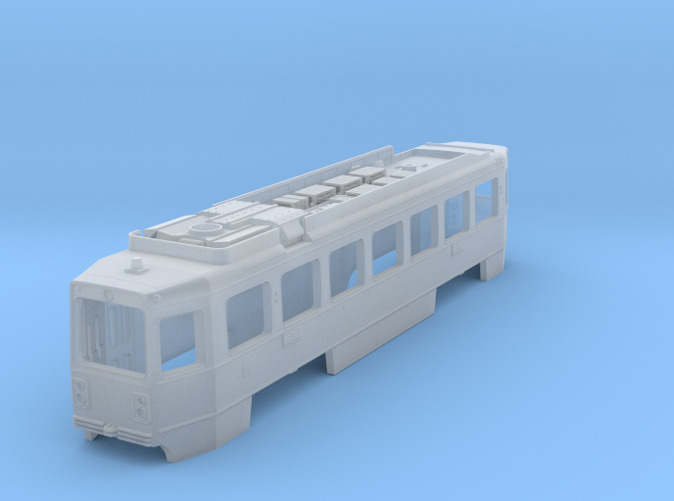 N Scale 1/160 SEPTA Kawasaki Single-End LRV body shell. This is an improved version of the shell we've offered on our Shapeways shop since 2013. Roof details have been improved and the shell cross section has been thickened for better strength. Some details are very fine and should be handled carefully. 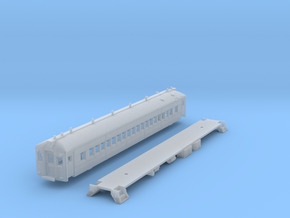 Prototype truckbase is 25' and the closest available mechanism is the Tomix TM-TR1, which is a little short in truckbase but is the correct width to fit in the shell. Prints in FUD for best detail.